St David’s Hotel A Winner! Cardiff’s only 5* hotel, the St David’s Hotel and Spa, has recently been recognised among Europe’s best, winning two prestigious travel awards. The iconic hotel, located on Cardiff Bay’s waterfront, was among only 20 hotels in the United Kingdom to be honoured at the European Gala of the World Travel Awards, which were held in Athens, Greece last weekend. St David’s went head to head against some of Wales’ most renowned hotels and resorts, to be named ‘Wales Leading Hotel 2014’ and ‘Wales Leading Business Hotel 2014’, as voted for by industry professionals worldwide. Known as the ‘Oscars of the Travel Industry’, The World Travel Awards are recognised globally for acknowledging, rewarding and celebrating excellence across all sectors of the tourism industry. The awards are considered the ultimate hallmark of quality, with winners setting the benchmark to which others aspire. St David’s Hotel and Spa will now go forward to take part in the finals of the World Travels Awards, which will be held in Marrakech, Morocco in November, where they will compete against winners from the other world regions. Having opened in 1999, St David’s Hotel and Marine Spa is this year celebrating its 15th anniversary. 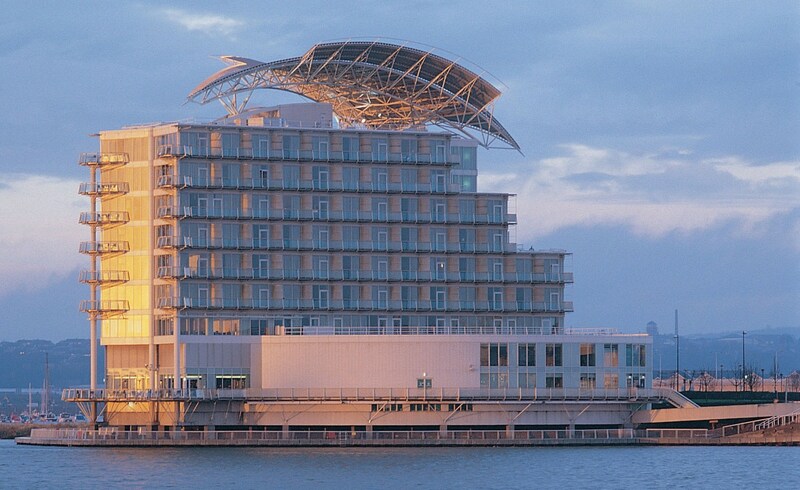 Over the last 15 years it has established itself as one of Wales’ flagship hotels, boasting a trendy waterfront location on the vibrant Cardiff Bay, and offering 142 guest bedrooms, the chic Tempus at the Tides Restaurant and the world class Marine Spa. St David’s also has eight conference and events suites making it the perfect destination for business or pleasure. Andreas Maszczyk, General Manager of St David’s Hotel says, ‘We are incredibly proud to have won not one but two awards at the European World Travel Awards. It is an honour to be recognized on an international stage, cementing our reputation as an exceptional luxury establishment.